Home > Blog > useful information > What makes a good guarantor loan customer? If you are considering getting a guarantor loan to help you in difficult financial circumstances (a common scenario if you are looking to gain access to credit, but are struggling to get access to one because of your own financial history in the past, as securing one through the help of a guarantor gives you a greater chance of being accepted), you may be wondering what criteria loan providers will be assessed when deciding as to whether or not to approve your application. There are a number of different variables at play when it comes to the eligibility criteria guarantor loan lenders are looking at, which can also differ from provider to provider. We take a look at what typically makes a good guarantor loan customer, to help you get a better understanding as to what lenders will be looking for from you, which can also help you to better prepare your application too. One of the basic eligibility criteria that providers will be checking when considering your application is whether or not you live in the UK or not. This will usually be verified by checking whether you are on the electoral register. If you are not, make sure you have sorted this out before applying for a guarantor loan, as not being on it can dramatically reduce your chances of being accepted. Why? Well, if the lender in question has no means of verifying your address or identity, then it is going to ring alarm bells as to whether you are who you really say you are. Even if you think you are on the electoral register, double check before making your guarantor loan application. This is because if you have moved address in recent years, you may no longer be registered at the right address. If it turns out for any reason that you aren’t on the electoral roll, amending this can be easily done online, in just under 10 minutes by going to the register to vote website on gov.uk. Again, another important factor for guarantor loan providers is that you are easily contactable, through the form of a working mobile (as well as a home number if you have one) and email address. A lender may need to contact you for further details about your application prior to deciding whether to accept you for credit. The guarantor you have nominated also needs to be easily contactable, in order to verify they are happy to act as a guarantor for your application, and in the event that they need to be contacted because you have been unable to keep up with repayments. Don’t be worried that you have to have a fantastic credit score in order to apply for a guarantor loan and to be a good customer. Don’t be concerned that you have to have an almost perfect credit score in order to be able to obtain a guarantor loan. Generally speaking, guarantor loans are aimed at those who don’t have the best credit rating, in order to help them get access to a loan they may otherwise struggle to get. 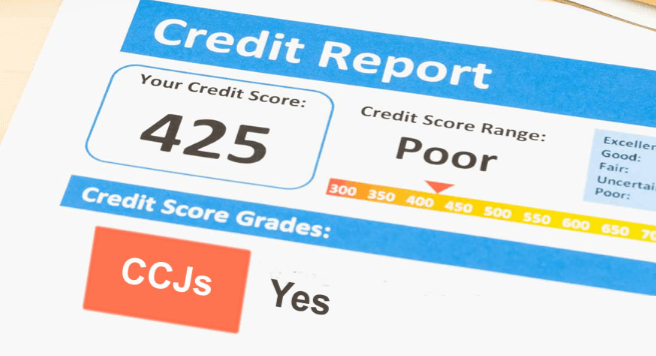 However, so that you can gain access to the best rates available from a lender, you will most likely need to have no history of bankruptcy, CCJs or IVAs on your credit file. But if that is the case for you, do not be completely disheartened. You may still be granted a guarantor loan, as some lenders will still give guarantor loans to those with, particularly bad credit. Nevertheless, you should carefully check the terms and conditions of the loan contract as you may find there are more stringent conditions in place, or higher fees, as a result of having bad credit. An important factor for guarantor loan providers will be assessing how affordable it is for you when it comes to making repayments if you were to be approved, before giving you a final answer. Guarantor loan lenders and brokers have to be compliant with the Financial Conduct Authority’s regulations (since their takeover in 2014). The FCA has been dedicated to improving the consumer’s experience of this industry, and one way they have done this ensures that lenders in the industry are being responsible when it comes to lending, or face not being able to trade in the sector any longer. That means that now more than ever, guarantor loan lenders will be verifying that you do not have a huge amount of debt outstanding before deicing to approve or decline your application for credit. They will also want to make sure you aren’t simply applying for this loan in order to pay off another debt in an irresponsible way, as this can lead you into a spiral of debt. This point fits in with the previous point made, relating to how affordable a guarantor loan would be for you. Most lenders will therefore be checking as to whether you are currently employed, as well as how stable this job is for you. For example, have you regularly changed jobs in the last couple of years? Does your level income mean that you would be able to afford monthly repayments without ending up in debt? Lenders will be looking for evidence you will be able to put money aside each month to pay back a guarantor loan, as well as paying it promptly. Of course, another factor that makes a good guarantor loan customer is someone who has picked a responsible guarantor. This is important as if for any reason you are unable to make repayments at a later date, the guarantor will be the one who will need to make these repayments on your behalf.